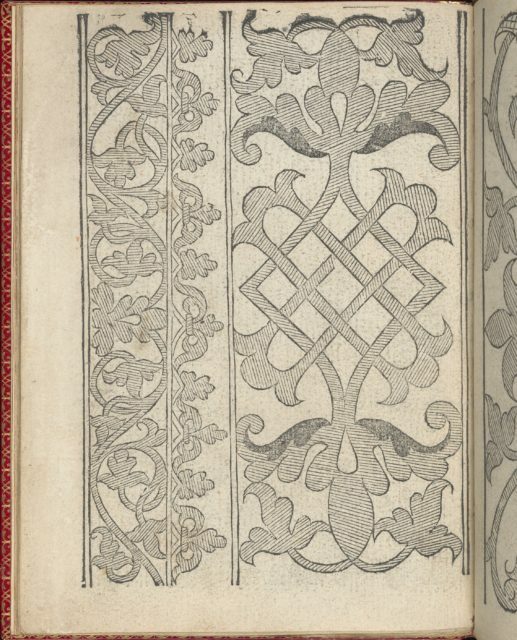 Designed by Giovanni Antonio Bindoni, published by Giovanni & Marchio Sessa, Venice, bound by Chambolle-Duru, French, 19th century.From top to bottom, and left to right:Design composed of 2 vertical columns. 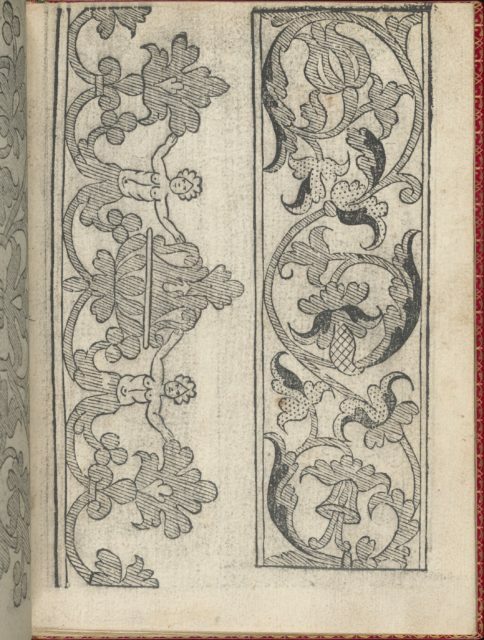 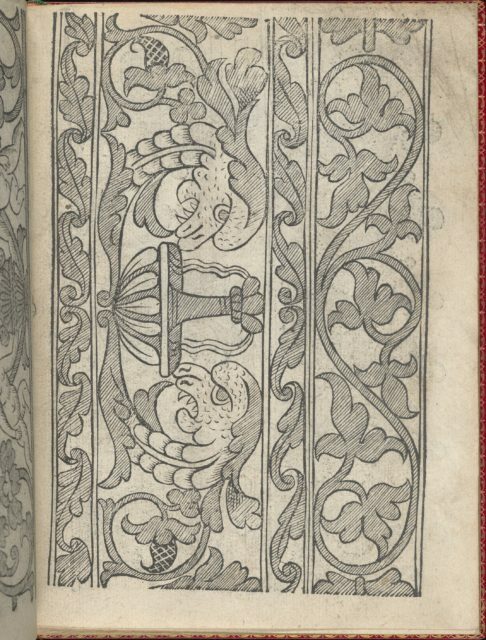 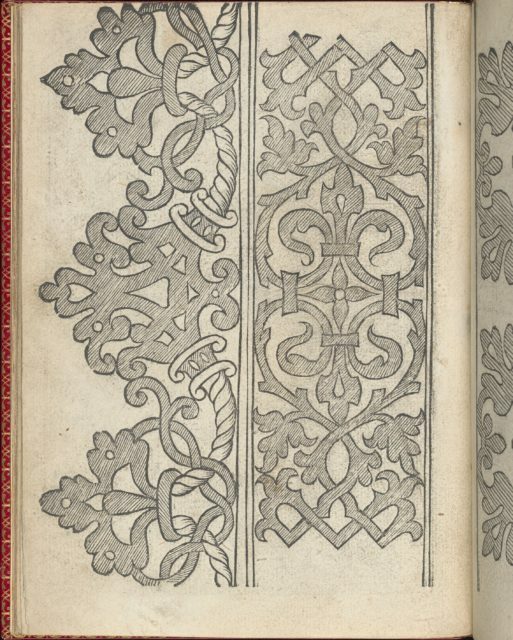 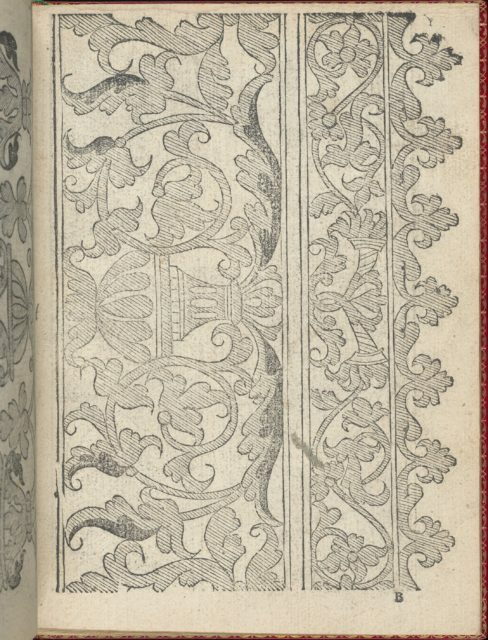 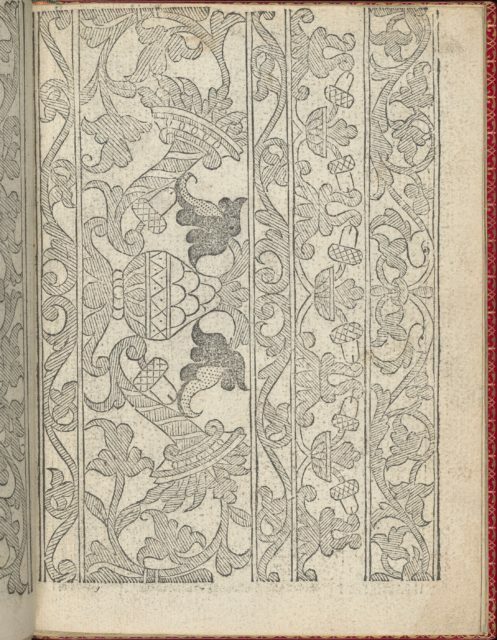 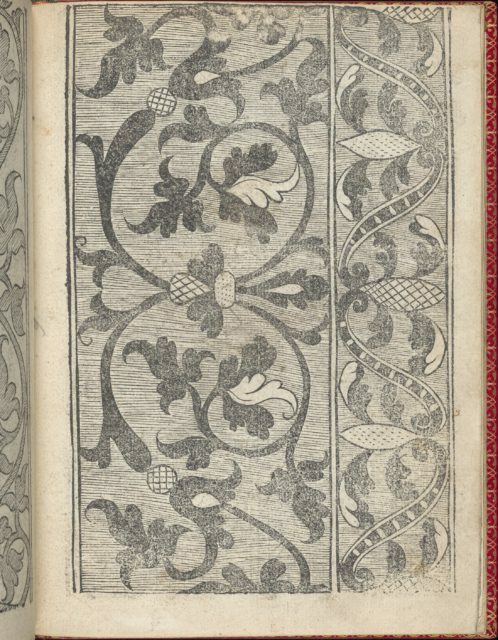 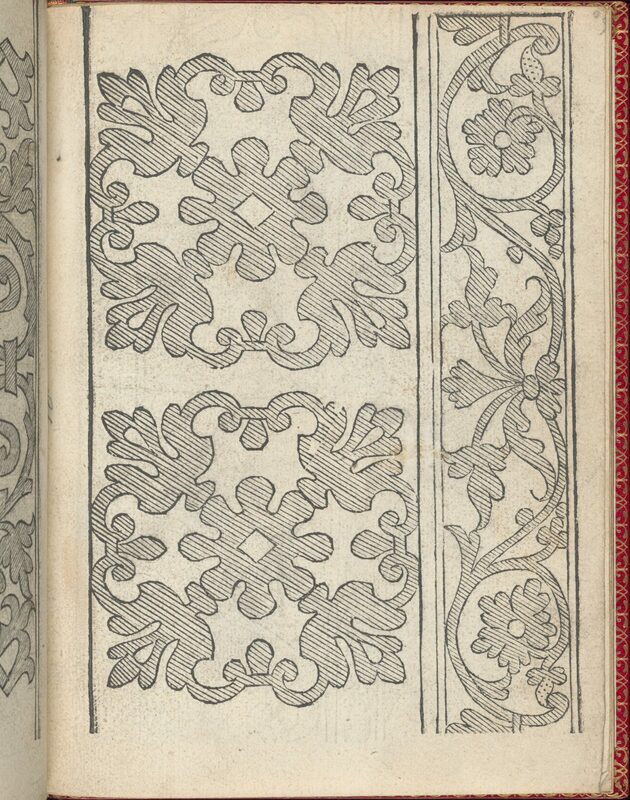 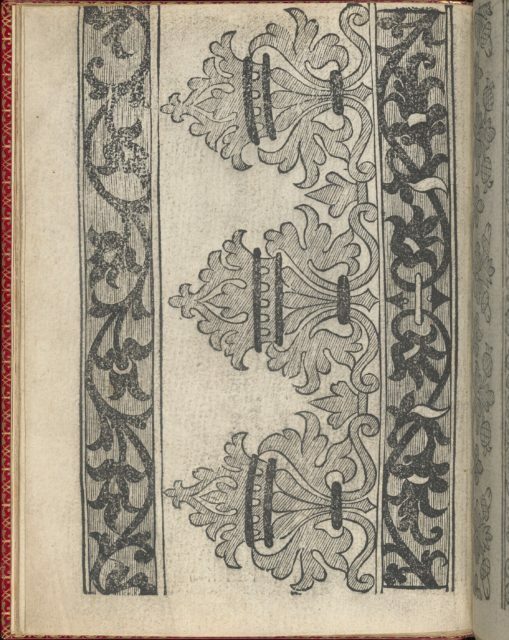 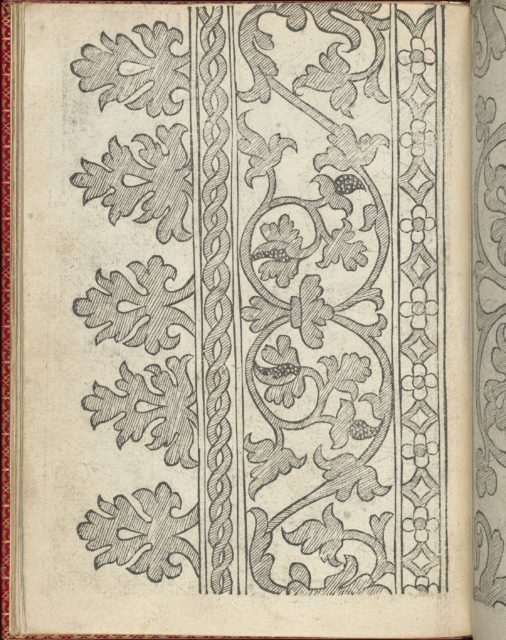 Left column is decorated with floral motif printed twice. 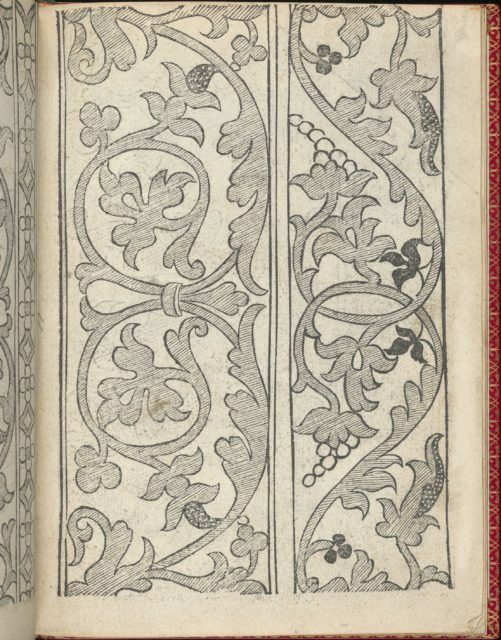 Right column is decorated with a curving vine of leaves and flowers.